INDIANAPOLIS – The outstanding seasons for a pair of area high school girls’ tennis doubles team came to a conclusion at the State Finals Friday. The Concord duo of Keegan Thursby and Meaghan Godzisz lost in the quarterfinals of the event at Park Tudor High School. The Columbus East team of junior Megna Chari and sophomore Kathryn Hodzen remained undefeated by topping the Minutemen team 6-4, 6-1. 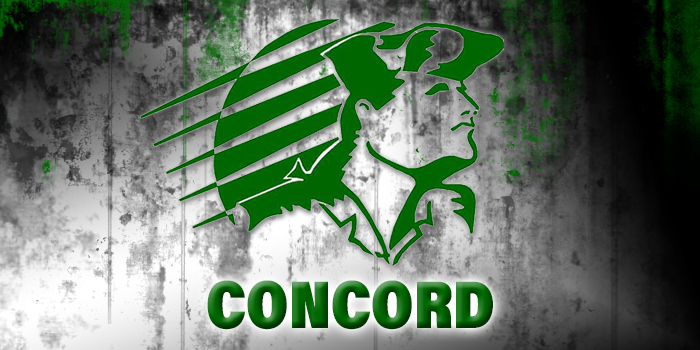 Thursby, a junior, and Godzisz, a sophomore, helped lead their Concord team to NLC, sectional and regional championships this season. The duo finishes the season with an overall record of 19-5. Chari and Hodzen advance to the semifinals Saturday at 10 a.m. to face the Columbus North team of senior Madelyn Sanders and sophomore Eva Chevalier. The Penn team of Ali Kumfer and Alexis Snelson also lost in quarterfinal play Friday. The Zionsville team of senior Anna Campbell and sophomore Lauren Campbell bested the Kingsmen duo by a 6-0, 6-3 count. Junior Kumfer and senior Snelson posted a 25-3 mark this season. The Campbells from Zionsville advance to face the Indianapolis Cathedral team of junior Claire Koscielski and sophomore Meg Coleman in Saturday’s semifinal round at 10 a.m. The state championship match is scheduled for Saturday at 2 p.m. The semifinals and title match for No. 1 singles players is also set for Saturday at Park Tudor. The area will be represented by South Bend St. Joseph’s star Maddie Yergler. The senior, who is 23-2 on the season, will face Michigan City Marquette Catholic freshman Rose Pastorest (14-1) in one semifinal at 10 a.m. The other semifinal will pit Providence junior Halli Trinkle (16-1) versus Muncie Burris sophomore Isabelle Behrman (24-2). The singles finale is also set for Saturday at 2 p.m.